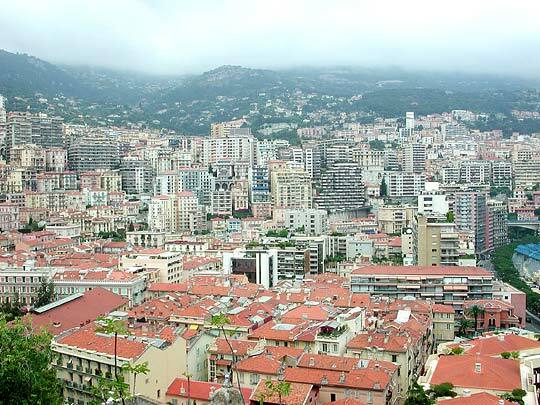 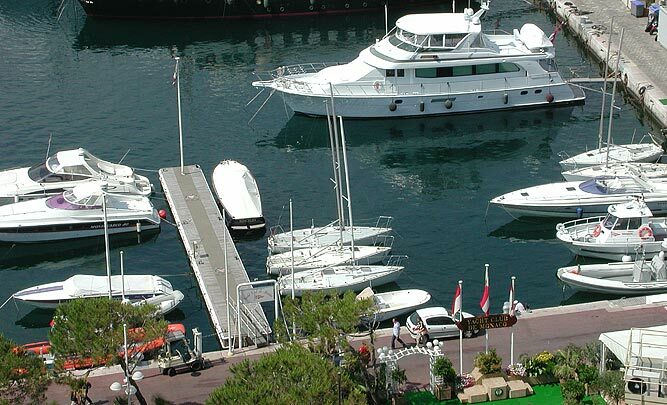 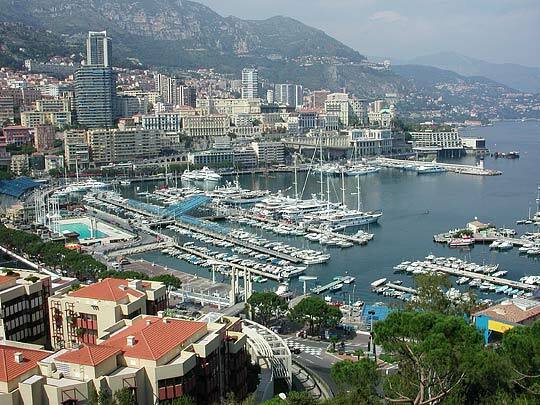 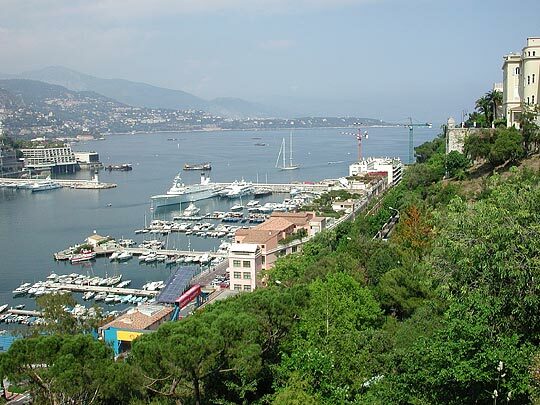 Monaco is a sovereign state half the size of New York's Central Park but with the world's oldest direct line monarchy. 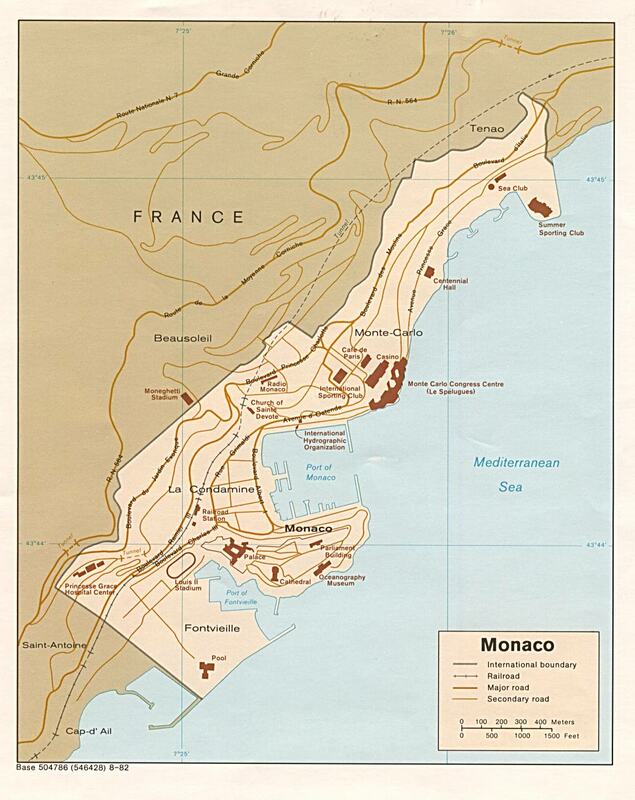 The core is The Rock (Le Rocher), a peninsula projecting into the Mediterranean. 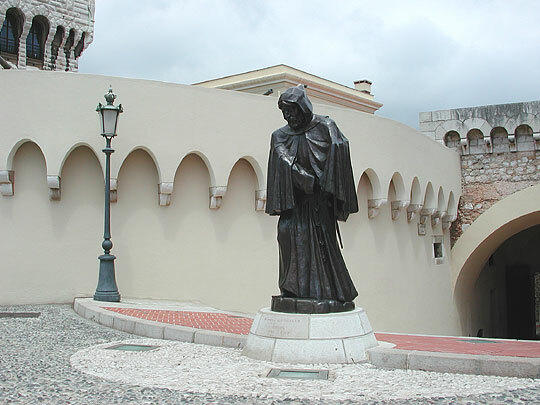 A fortress built by the Genoese in 1215 was seized in 1297 by Francesco Grimaldi and his Guelph followers disguised as monks (see memorial in first picture). 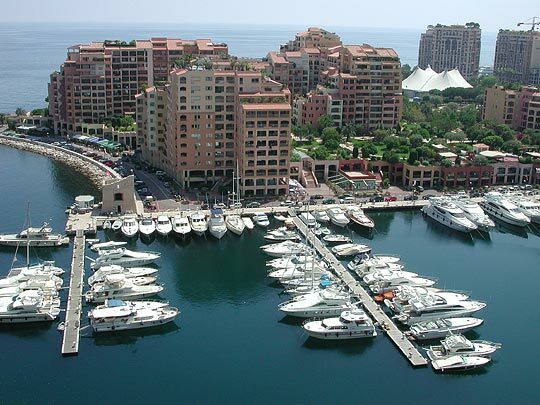 The Grimaldi family have ruled in direct line ever since. 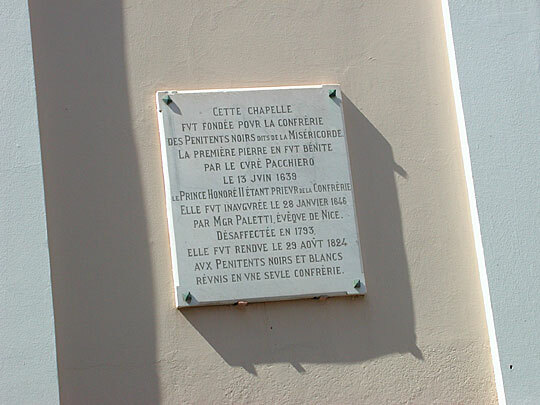 The castle has been modified and renewed many times over the centuries. 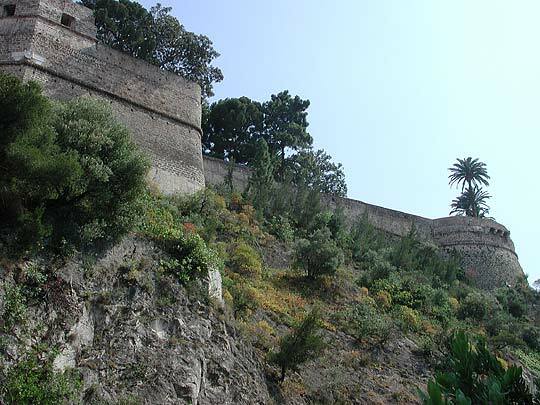 Early outer defence works may be seen in picture on the right. 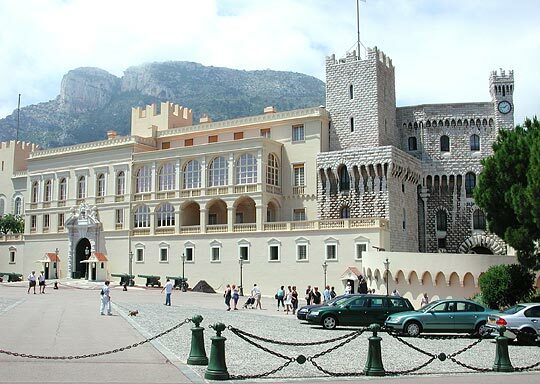 The main frontage of the palace is from 16th-17th centuries. 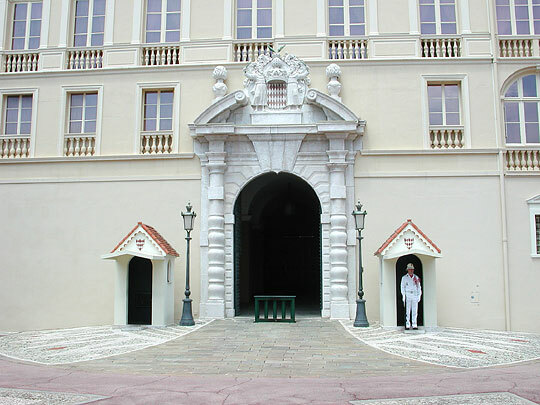 The cannons in front were presented by Louis XIV. 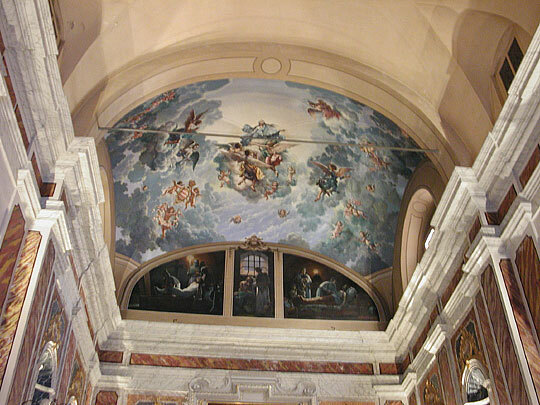 The large Baroque doorway was inserted in the wall about 1690. 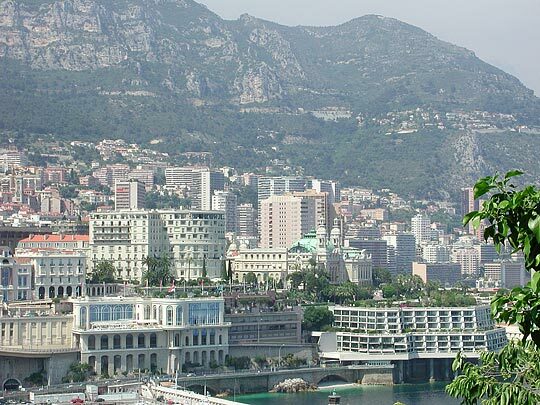 The tower on the right, Tour de l'Horloge, was raised in the 19th century in white stone from La Turbie, the village perched high above Monaco. 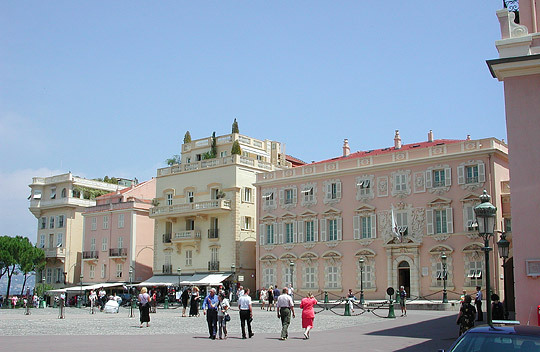 The palace faces a large square with the town hall on the opposite side. 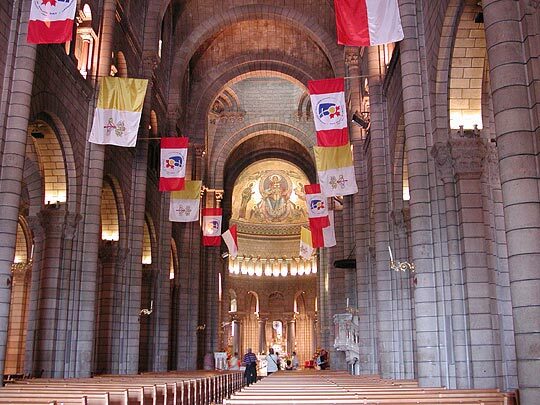 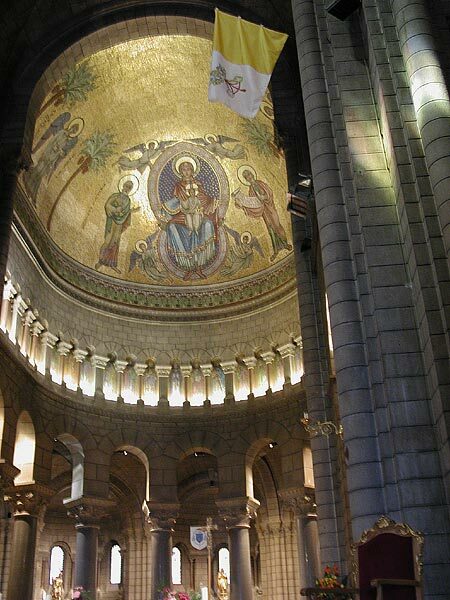 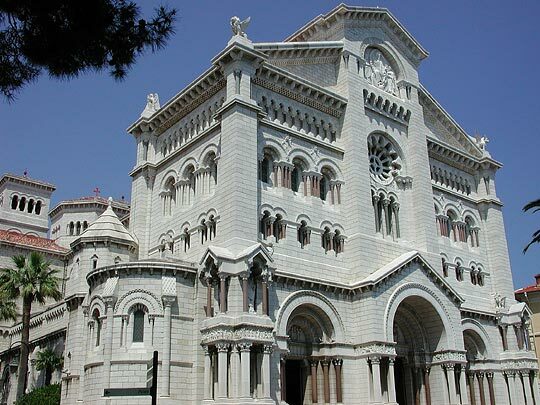 The Neo-Romanesque cathedral was built in the 19th century of La Turbie stone. 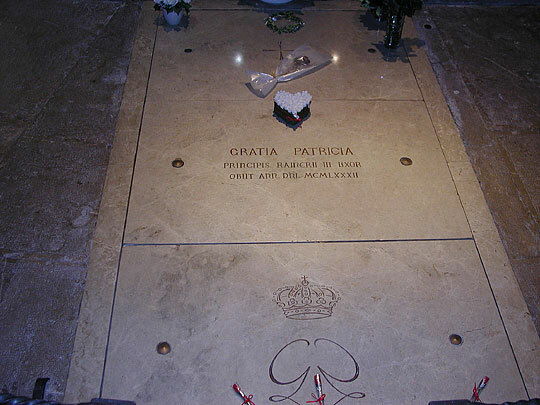 Princess Grace, the former film star Grace Kelly, is buried here (second picture) along with late princes of Monaco. 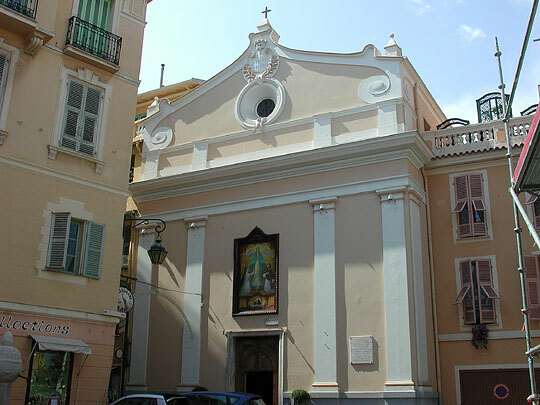 The Baroque Chapelle de la Miséricorde completed 1646 when it became the headquarters of the Confrérie des Pénitents Noirs (Brotherhood of the Black Penitents). 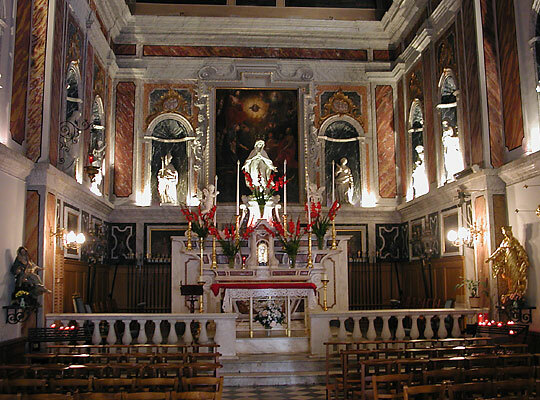 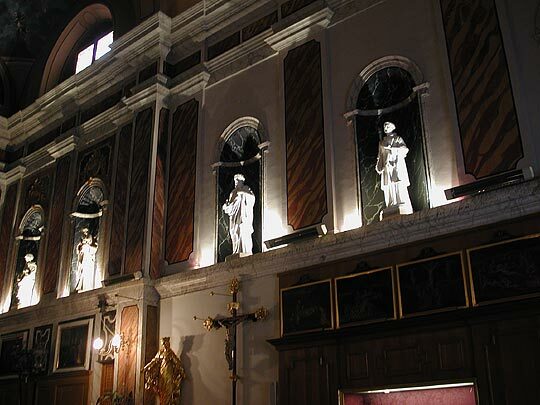 The illuminated marble figures are from the early 18th century. 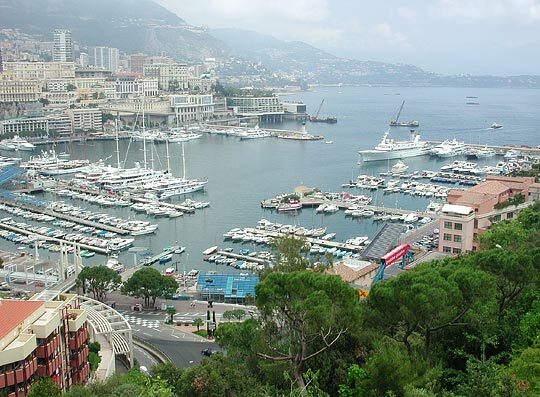 Views of Monaco. 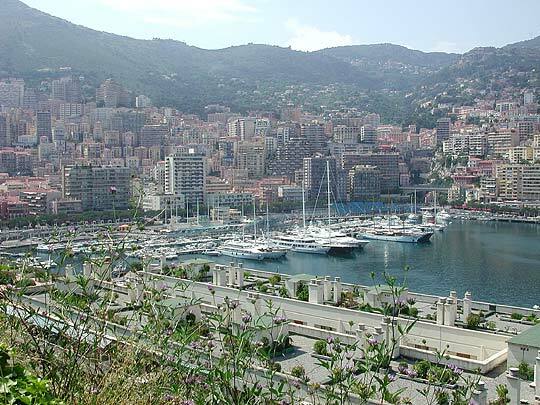 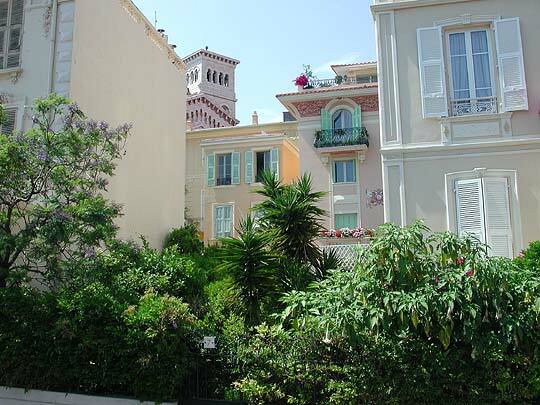 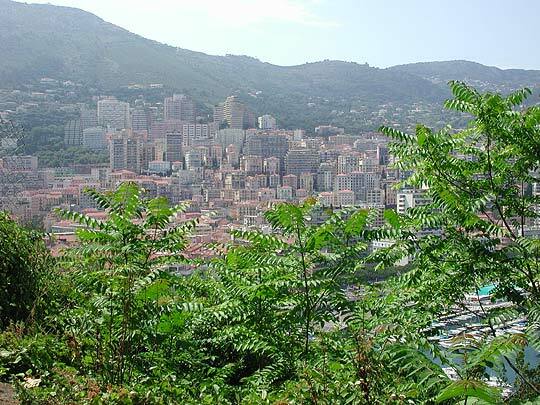 The green topped building in the picture on the right is the Casino in the Monte-Carlo district of Monaco.